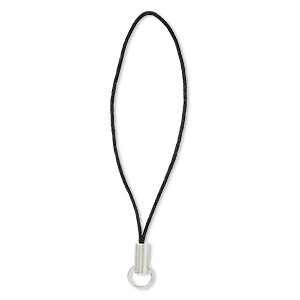 Zipper pull, sterling silver and nylon, black, 2 inches. Sold individually. Fun zipper pulls add charm to jackets, backpacks, purses, flash drives and more. Simply add your favorite charms or beads and then attach to the zipper. 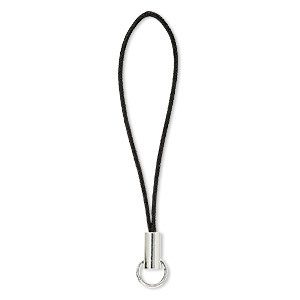 Zipper pull, silver-plated brass and nylon, black, 2-1/4 inches. Sold per pkg of 24. 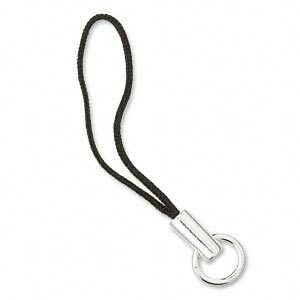 Zipper pull, silver-plated brass and nylon, black, 2-3/4 inches. Sold per pkg of 24. 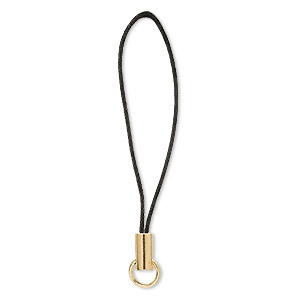 Zipper pull, nylon and gold-plated brass, black, 2-1/4 inches. Sold per pkg of 24. 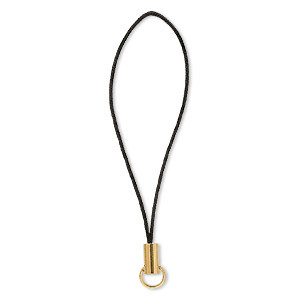 Zipper pull, nylon and gold-plated brass, black, 2-3/4 inches. Sold per pkg of 24.